Enjoy spectacular Gulf views and aerial views of the picturesque piazza from the comfort of your private terrace when you stay at this elegant 3 bedroom, 3 bathroom unit located in the community of Bella Vita. 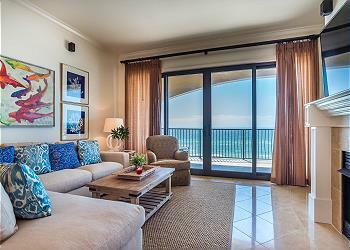 Gulf front views and amazing accommodations make this Adagio unit the ideal beach getaway! This unit features 4 bedrooms, 3 bathrooms and space for up to 10 guests. Check availability and book today! 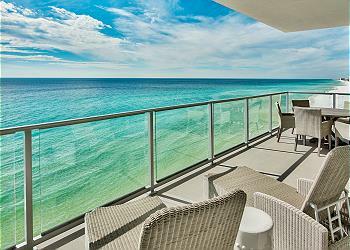 Stunning, Gulf front Adagio condo tucked away in tranquil Blue Mountain Beach. This unit sits on the third floor and features spectacular views of the Gulf of Mexico and all the amenities you could ask for. Check availability and book today! 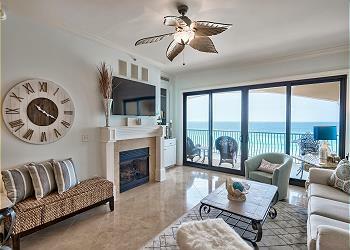 Stunning, Gulf front Adagio unit tucked away in tranquil Blue Mountain Beach. This unit sits on the fourth floor and features spectacular views of the Gulf of Mexico and all the amenities one could ask for. Check availability and book today! Escape to the one of the best views of the Gulf coast. This modern condo shares a rooftop pool, gulf views and an open floor plan offering ample natural light. 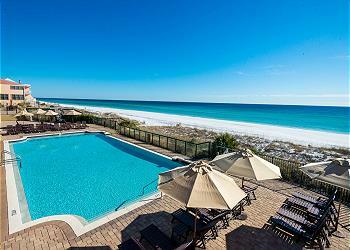 "Mediterranea Penthouse" is a newly remodeled luxury penthouse at Mediterranea of Destin. Enjoy unobstructed Gulf views, beautiful finishes throughout, private complex beach access, and massive complex pool with Gulf views! Enjoy your beach getaway at 34 N Barrett Square Unit 3A. This modern condo is nested in Rosemary Beach and offers fabulous views of the green and community. 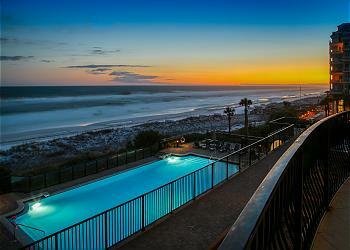 Palmer Flat is a two bedroom, two bathroom luxury condo situated in exclusive Rosemary Beach. Enjoy a short walk to Rosemary community amenities such as Town Center and the Cabana Pool. Check availability and book today! Cozy condo located on a quiet street just a few blocks from Rosemary Beach Square! Nearby restaurants and the Gulf are one of many local amenities that make this condo special. This sensational 2nd Floor condo is located right in the heart of the Town Center of Rosemary Beach, making this an unforgettable vacation location! This luxurious, professionally decorated, 2 story, 2+ bedroom / 3 bath condo is located in the heart of Rosemary Beach on the south side of 30-A next to the fine shops and restaurants. Perfect for a couples getaway! First floor corner unit. 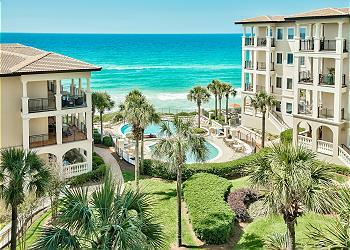 This incredible vacation space boasts the most upscale amenities you will find anywhere in Destin. Browse photos and video to explore the wonder of Villa Coyaba! End unit with fantastic Gulf views. Professionally decorated and filled with luxurious aminities, this Villa Coyaba unit offers an incredible location to enjoy a week at the beach in style! Call or book online, today! All the upgrades you could ask for: Viking appliances, granite counter tops, gas cooktop, marble floors, hardwood cabinets and it sleeps a group of 12 people. 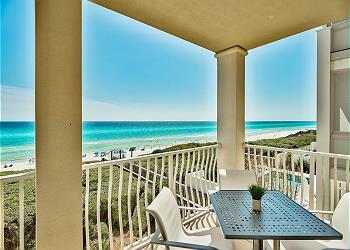 Enjoy a relaxing vacation in this luxurious unit on the Gulf! This condo is a great place for a family to use alone or to share with friends. It is a second home and we invite you to use it as your own. You will feel at home with all the 'extras' that you would not normally find in a rental unit. Villa Coyaba provides a level of convenience and luxury that is hard to beat along the Gulf Coast. The beaches aren't crowded, the views are incredible and it would make the perfect spot for your next family vacation at the beach! When it comes to picking the best location for a family vacation, Villa Coyaba is at the top. With uncrowded beach front, an infinity edge pool overlooking the gulf and every luxury you can imagine, this Destin condo development is hard to beat!